I’m fascinated by book trailers. They seem like an inventive way to bring a book to life. Book trailers are relatively new additions to the literary world. What is a book trailer, anyway? A book trailer is a short video teaser for a book. The video can consist of live action, animation, scrolling text on a black background, or anything that captures the attention of the viewer. Book trailers have been around since 2002. Readers are 64% more likely to purchase a book if they see a book trailer that effectively promotes it. Book trailers create more buzz about a book and help with marketing it. Book trailers are short and sweet – usually less than a minute each. They can be a combination of still photos, live action video, with text and music. If a picture is worth a 1,000 words, a moving picture is priceless! Authors and publishers can hire companies to produce a book trailer that generates buzz about a book prior to its release. Many book trailers are posted on YouTube. There are 1 billion users that watch YouTube videos, and 4 billion video views daily. There is also a really cool site called Trailershelf. 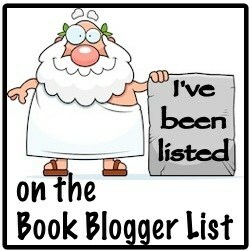 It’s a curated site, dedicated to showcasing book trailers to help readers find good books to read. You can explore videos by genre, most popular, staff picks, and more. Check it out. Are there any book trailers that you recommend? Awesome post! I just recently discovered book trailers and found them fascinating, so thanks for the book trailer website! I also saw the book trailer for Girls Night Out and it made me request the book on Netgalley! I think you will like Girls Night Out. I liked it alot. So this is embarrassing. I have never watched a book trailer until now! It was mesmerizing! I look movie trailers. Book Trailers are really fun! I love seeing a book come to life and this is one way to do it. I meant to say I love movie trailers not look! I didn’t know about book trailers until recently. I was on YouTube trying to see if any books that I had read had movie adaptations and that is when I discovered trailers. The last one that I watched and enjoyed was One of Us is Lying. However, watching this one on Wife Between Us, I am not sure that it would have gotten me to read the book lol. For that one, the blurb was more intriguing for me. I do love all the other videos though. Diana, that trailer for The Wife Between Us made me jump! It was so creepy that I probably wouldn’t have read it either if I had seen it first. I’m a scaredy-cat!